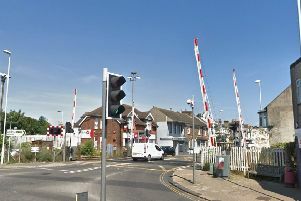 Construction of thousands of new homes across Arun could put an Olympic-size swimming pool back on the agenda – despite such a facility being ruled out in Littlehampton. Calls for a 50 metre pool as part of the £15million redevelopment of Littlehampton’s Sea Road facility were rejected by Arun District Council due to space, cost and lack of demand. But analysis of the growing demand for new homes, as part of the district’s local plan process, has hinted a 50 metre pool could be needed in the long-term. Consultants instructed by Arun suggested a 50 metre pool could replace the Arun Leisure Centre in the long-term, as part of more than £266million of infrastructure improvements required to mitigate the growth. Mr Dendle did not support a 50 metre pool for Littlehampton, backing findings of a feasibility study which concluded one could not be justified. He stressed the council was ‘not fixated’ on an Olympic-size pool for Felpham and options to address expected capacity issues had not been discussed by councillors. The 50 metre idea was, he said, just one option, which had been floated by Hampshire County Council in the infrastructure delivery report. Littlehampton mayor Ian Buckland, who wanted a 50 metre pool in Sea Road, said: “Why can’t the aspiration be a 50 metre pool in Littlehampton? Councillors met after the Gazette went to press on Wednesday to discuss the progress of the local plan. According to government figures, Arun needs to build 845 homes per year up until 2031 to meet demand. The council has commissioned a number of studies and assessed available land across the district to see if it can meet the demand. The plan sets the council’s long-term vision for the area.